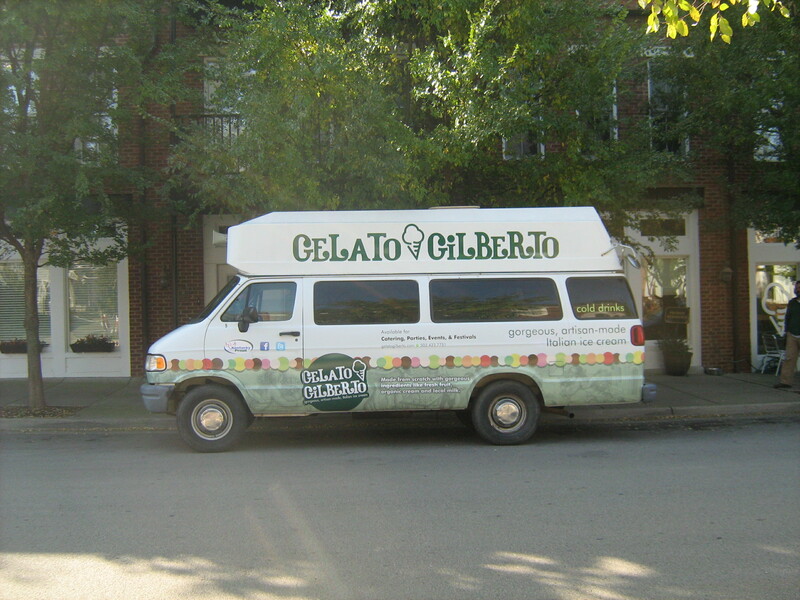 Be on the lookout for the Gelatomobile (Picture courtesy of Kristin Gilbert). The Gelatomobile will magically appear at random locations during the month of July. We’ll post the location and secret password on our Facebook page on the day of each appearance. The first ten people to find the Gelatomobile and say the password will get a free pint of gorgeous gelato. (One pint per family/group please–we want everyone to get a chance.) There may or may not be consolation prizes at each location. Visit Gelato Gilberto’s Facebook page for more info. « Hillbilly Tea heads to Portland and West End. What other Louisville neighborhoods need more local restaurants?